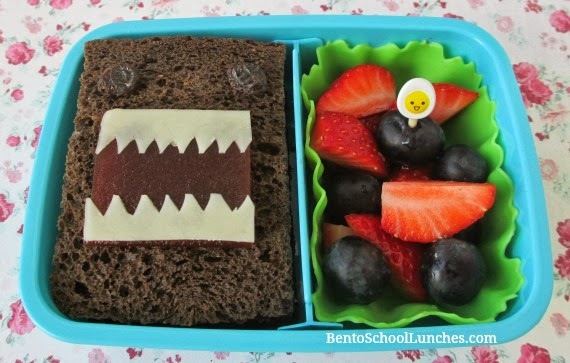 I used pumpernickel bread for Domo's face, raisin eyes, fruit leather mouth and asiago cheese teeth. Seedless black grapes and strawberry slices. I love Domo! so cute!! The Domo sandwich is super cute!